The HTC Desire 610 which was first unveiled back in February during the MWC 2014 is now making its way to AT&T. 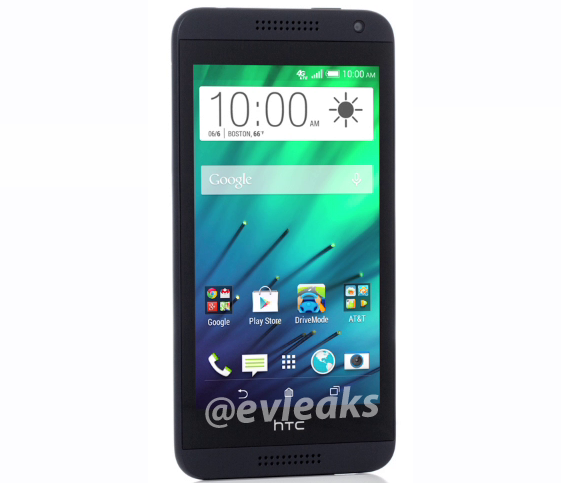 The news came after @evleaks tweeted a leaked render of the upcoming AT&T’s HTC Desire 610 on their account. There is no news on whether any other carriers will be bringing this device to their stores or not. If rumors are true, then the HTC Desire 610 should be available from AT&T starting early July next month. Since this is a mid-range device, it should come with a price tag not more than $350 – or rather just $50 – $100 under a 2 years service contract with AT&T. We’ll tell you more about the Desire 610 once there is new rumors or leaks about the device.